Vetsource, a Portland, Ore.-based technology-enabled healthcare services company, has acquired Toronto-based VetSuccess, a veterinary data analytics, machine learning, and business intelligence organization. Vetsource recently closed a $50 million round of investment led by Bain Capital Ventures. The company’s services include home delivery of manufacturer-sourced medications and nutrition products, as well as the mobile-optimized ScriptRight ePrescribing tool that veterinarians use to write, review, and approve prescriptions from web-enabled devices. 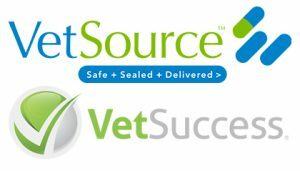 With the acquisition of VetSuccess, Vetsource will expand its customizable dashboards that give veterinary practices detailed performance data regarding the success of its home delivery program, according to the company.